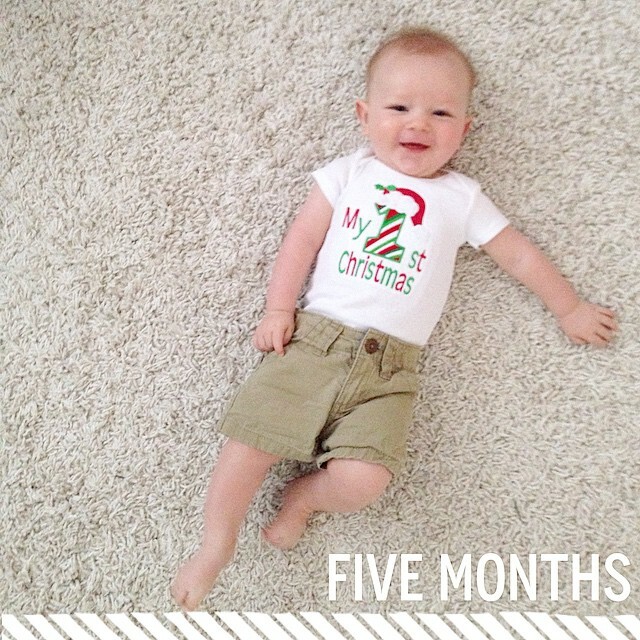 Our Life Down Unda: spencer james // five months. Last month you... stopped rolling, started solids (carrots are your favourite! ), sitting up for a few seconds at a time, laughing when your brother acts silly and continued to be a momma's boy! You have the sweetest little giggle and have been such an easy, loving baby so far. You are eating three meals a day and breastfeeding every three hours still. However, just before you turned 5 months old you started sleeping from 7pm until 4am, having a quick feed and going back to sleep until 6:30am! Whooo hooo!